Mix first 5 ingredients. Serve between two slices of toasted bread. 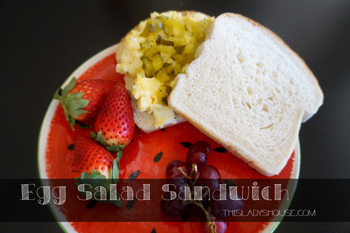 This entry was posted in Recipe and tagged Eggs, Lunch, Sandwich.